This article outlines and reviews the ballistic functions of the Leica Geovid HD-B Edition 2200. It follows our main review of the HD-B Edition 2200, where we focused on general use and rangefinder performance. There’s a lot to cover with the Geovid. If you missed the first part of the review, check it out HERE. I’ll bring up some of that material where necessary, but for the most part this article will focus only on the HD-B’s ballistic functions. Be sure to watch this VIDEO of the Geovid in action. I’ve used and reviewed quite a few ballistic solvers over the past few years. Their basic operation is usually similar, differing only in features and ease of use. 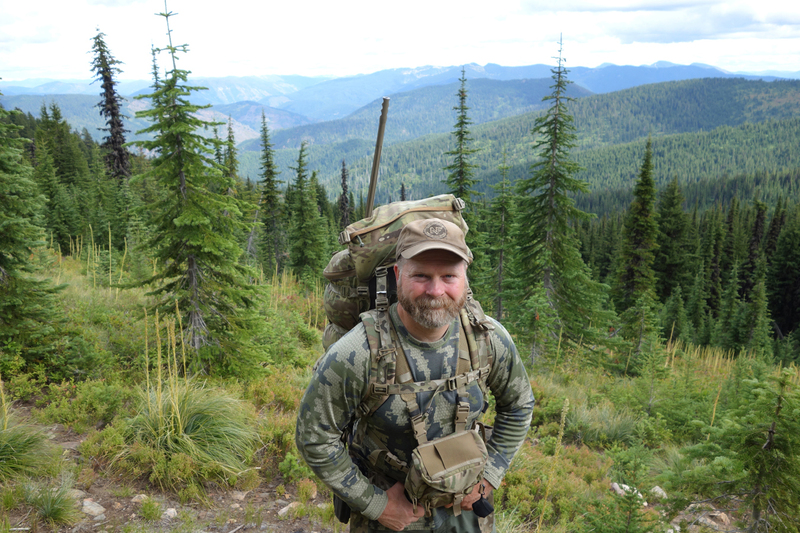 For a long-range hunting ballistic solver, the latter quality is an important consideration. The Geovid HD-B isn’t a ballistic solver in the traditional sense. You can’t scroll through bullet profiles or input theoretical shooting conditions. There are no provisions for Coriolis, spin drift, or aerodynamic jump. In fact, the HD-B only corrects for vertical bullet drop. What the HD-B excels at is the platform it’s based on and its ease of use. It’s a world-class binocular that allows a hunter to glass with absolute clarity and a wide field of view. Once an animal is found, its laser rangefinder provides a precise distance to the target. It automatically calculates environmental conditions, then displays the correction needed to hit that target a split second later. All of that with two presses of a button and without taking eyes off the animal. The Geovid HD-B Edition 2200 uses Advanced Ballistic Compensation (ABC) to provide corrections for long range trajectories. The corrections are based on 12 preset ballistic curves stored in the Geovid, or a custom curve downloaded to a micro-SD card. The Geovid can be set to measure and correct in yards or meters. For the sake of simplicity, I’ll give examples in yards only. 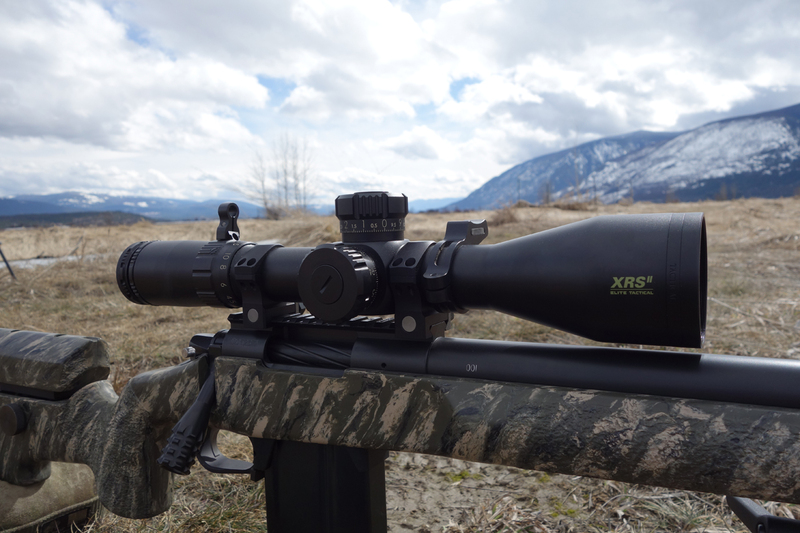 The Edition 2200 will provide a correction for up to 875 yards when using the preset curves. That distance increases to 1000 yards with a custom curve. Equivalent Horizontal Range (EHR) is functional from 10 to 1200 yards. The zero range can be set for 100, 200, or 300 yards. The 12 preset ballistic curves represent bullet trajectories according to the zero range. There are three trajectory tables that correspond to the zero range. The tables are found in the back of the instruction manual. Even though the HD-B will correct to 875 yards with a preset curve, the book only shows the trajectory to 500 yards. The entire preset curve, along with its ballistic specs can be viewed HERE at Leica’s online ballistic calculator. The Geovid corrects for conditions automatically, but the preset trajectory curves are based on standard conditions. Preset curves are based on the standard atmospheric conditions of 29.92” station pressure and 68° F air temperature. You’ll need to know your trajectory based on the same conditions. Once you determine your trajectory and zero range, choose the preset curve that most closely matches it. For example, I used a preset ballistic curve at the beginning of this review. I was hunting with a Sako 300WM, firing a 180-grain bullet at 3050 fps. I’d already trued the load to a ballistic solver, so I knew it was accurate and repeatable. I set the solver up for a shot at 500 yards, with a station pressure of 29.92” and 68° air temp. 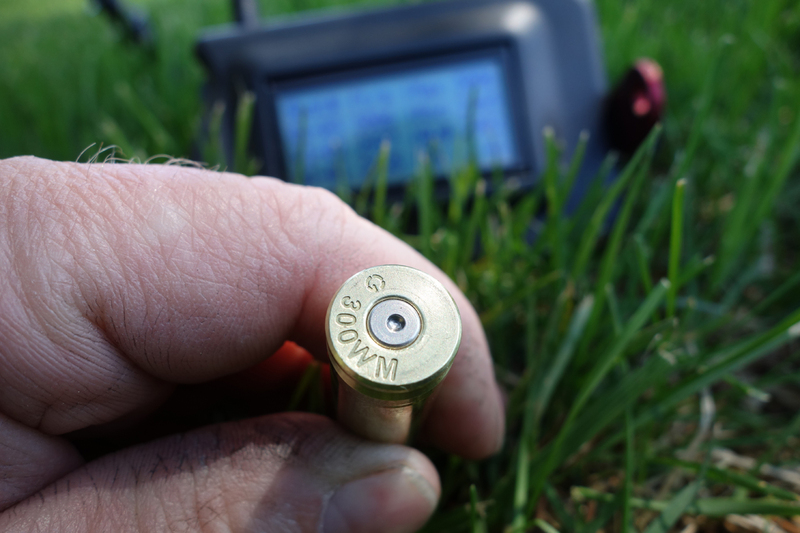 With a 100-yard zero, the solver showed the bullet dropped 44.70” at 500 yards. I selected “US3” from Table 4 in the book. That table was for a 100-yard zero, and the curve for “US3” showed a bullet drop of 45.0” at 500 yards. From 500 yards, I worked back along the trajectory to see how the curve matched the solver. It didn’t stray more than half an inch over its entire path. The Geovid HD-B also allows you to use a custom ballistic curve. This trajectory curve, or ballistic profile, is based on your bullet’s ballistic coefficient, muzzle velocity, and sight height. When using a custom curve as the input, the HD-B Edition 2200 will provide corrections to 1000 yards. 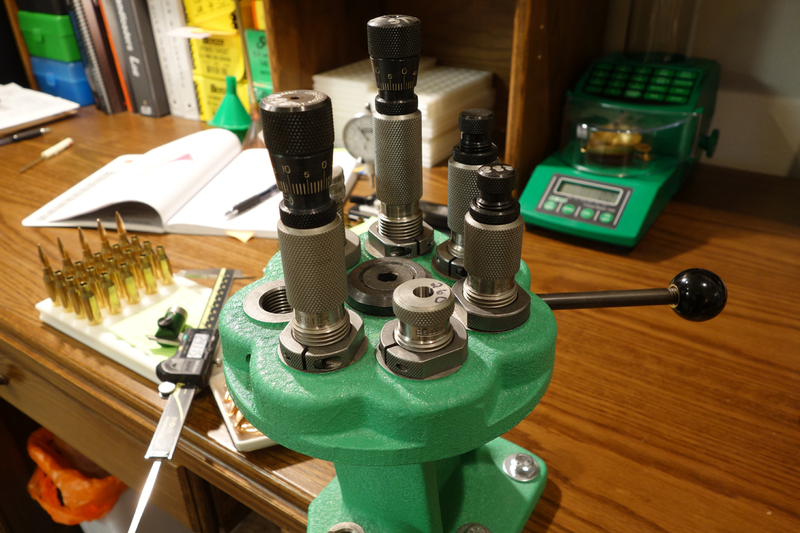 This option provides the most accuracy, but like any ballistic calculator some truing may be necessary for absolute precision. The trajectory for the custom curve is shown, along with the closest preset curve. Downloading the custom ballistic curve to the micro-SD card. The custom curve is stored on a micro-SD card. To build the profile, go HERE to Leica’s online ballistic calculator. Select Custom, then input the G1 ballistic coefficient of your bullet, muzzle velocity, zero range, and sight height. After you build your profile, continue to the next screen to check the trajectory. The trajectory to 950 yards is shown, as well as energy and remaining velocity. To transfer the profile to the micro-SD card, click on the Geovid symbol, then select Store trajectory data. The profile will end up in your downloads folder as a HEX file. Transfer it to the card, then plug it into the Geovid. The slot for the card is protected within the battery compartment. The custom ballistic curve is stored on a micro-SD card. The card slot is in the HD-B’s battery compartment. There are a few things to consider when using the custom curve/card option. First, only one ballistic profile can be saved to a card. The profile can be deleted from the card and a different one downloaded, but only one profile at a time can be used. Leica includes one 4 GB micro-SD card and adapter with the HD-B. I bought a two-pack of 8 GB cards at Wal-Mart for $12 for storing additional profiles. Also, the Geovid will only recognize the file named drop.hex. If you download another profile to your PC’s folder without deleting the first one, it will save as drop.hex(1). That format won’t work. Hunt it down and delete it from your PC after transferring it to the card. I changed cards in the field with a coin and a hunting knife, but I recommend using a screwdriver and skinny needle nose pliers. The card is tiny, and the slot it fits in is a simple friction fit. Also, the battery screw cap has a very short threaded section, sealed by an o-ring. It seems like it would be easy to cross thread it. I prefer to do card replacements with the proper tools and on a clean, dry bench. With a profile on the card, the HD-B can be set to read from the card or any of the 12 preset curves. There are several options for trajectory corrections once the ballistic curve is set. The HD-B Edition 2200 will provide them in a holdover value, Equivalent Horizontal Range (EHR), or MOA/MILs. The holdover value is a simple point of aim correction provided in inches. It represents how high the center of the crosshair needs to be held over the center of the target to hit it. The Equivalent Horizontal Range (EHR) correction format is designed for use with BDC reticles and yardage-marked turrets. It’s also a handy tool for archery hunters. From 10 to 100 yards, EHR will display the actual distance to the target, followed by the true horizontal range. From 100 to 1200 yards, EHR accounts for station pressure, temperature, and inclination angle for a correction based on standard conditions. Leica defines those conditions as 29.92” station pressure and 68 °F air temperature. Your turret, reticle, or range card needs to be calibrated to these conditions to use EHR accurately. Put simply, EHR is a yardage conversion system. It converts the correction needed for the actual yardage and conditions into a “shoot-to” yardage based on standard conditions. For example, the amount of correction needed for my LR 300WM to make a 500-yard shot at sea level, 68° temp, and 0° angle is 7.7 MOA. To make the same shot at 5000 feet, 50° temp, and a 10° angle I would need to dial 7.3 MOA. EHR converts the 500-yard correction into a shoot-to yardage of 482 yards, which requires 7.3 MOA correction under standard conditions. The most precise ballistic function of the HD-B Edition 2200 is the MOA/MILs correction format. This correction format works much like a traditional ballistic calculator. It can be used with any system based on the angular measurements of minutes of angle (MOA) or milliradians (MILs). Corrections are available down to 1/10 MOA resolution. For most of this review, I used the Geovid with the correction format set for 1-1 (MOA), it provided me with the precise amount to dial my elevation turret. For example, an 854-yard shot would display 854, followed by 17.9 for the correction in MOA. I would dial 18 minutes up on the turret and send it. It can also be configured to display MOA corrections in click values. You have the option of 1-3 or 1-4, which represent the number of clicks per MOA. For the same 854-yard shot, the display would show C 54 on the 1-3 setting, or C 72 for the 1-4 format. The HD-B will also give corrections in milliradians (MILs). MIL corrections are only displayed in click values. That’s no big deal for a system built on tenths. It can be set for 1-5 or 1-10, representing the number of clicks your scope dials for a full MIL. With it set on 1-10, the correction value would be displayed as C 52 for 854 yards. Dial 5.2 MILs to center punch the target. It should also be noted that the instruction manual shows the MILs option (1-5 and 1-10) as millimeters. It is in fact milliradians. Every ballistic solver has its strengths and weaknesses. The HD-B’s most obvious strength is the platform it’s housed in, as well as its total integration. A normal long-range hunting scenario would have me set up in an ambush position. I would spend a considerable amount of time glassing the target area. Once I identified an animal I wanted to shoot, I would put the binos down and range it with my LRF. Then I would fire up the Kestrel to read the current environmental conditions. If I wasn’t using the Kestrel’s integrated solver, I would input the range and conditions into a separate ballistic solver. Then I would take the shot. If the animal is on the move, I would have to find it again and repeat at least two of the steps. With the HD-B, I never take my eyes off the animal until I’m ready to get on the gun. The above steps are all taken with the press of a button. This advantage in a hunting scenario can’t be overstated. Its biggest weakness is the inability to adjust, or true drops in the field. The only way to true the custom curve on the card and the corresponding drops is from a PC with internet service. Also, drops need to be checked by ranging something with the HD-B. You can’t plug in different scenarios to confirm corrections. Along with taking it to the field to check trajectories, I used power poles to perform this test. Using a line of power poles to test the HD-B at multiple distances. The lack of wind corrections is also a deficiency. I would have liked to see a simple 10-mph, full-value wind correction included. I tested the HD-B’s accuracy against a Kestrel 5700 Elite. How accurate is the Geovid HD-B for real-world, long-range shooting? That depended on the correction format. I used two platforms to test the HD-B; KAC’s BulletFlight(M) on an iPhone 7 and a Kestrel Elite. I have complete confidence in both systems, having fired thousands of rounds using the data from each. I’ve trued my LR 300WM to both solvers well into the transonic range of its ammo. The testing protocol was simple—could I get the HD-B to provide corrections that line up with the other solvers? If not, would it provide enough precision for hunting to its maximum range? I plugged the data for my rifle and load into the Leica ballistic calculator. The curve matched the trajectory on BulletFlight to within half-an-inch at 950 yards. So far, so good. The next step was to take the HD-B and range several targets from 200 to 1000 yards. I documented the environmental conditions, angles, distances, and the corrections given for each range. Then I plugged those numbers into BulletFlight and the Kestrel to see how they compared. My first run with the HD-B netted a correction to within .25 MOA at 575 yards and a .4 MOA deviation at 995 yards. I deleted the profile on the card, added 30 fps to my muzzle velocity, and tried it again. This time, it didn’t stray more than .1 MOA along the entire trajectory. The closest preset curve, “US3” matched it to 500 yards, but quickly dropped off as the distance increased. I used the same preset curve with my Sako in the spring. The trajectory from that rifle matched it well enough for .5 MOA accuracy to its maximum range of 875 yards. The Equivalent Horizontal Range function was not as accurate as direct-dialing the correction. Less precision is inevitable when you shoot with a system designed around set environmental conditions and rigid correction values. It’s why I prefer using reticles and turrets based on simple angular values. Having said that, EHR provided .5 MOA accuracy to 854 yards. To test it, I documented the conditions measured with the HD-B, the distance ranged, and the corresponding EHR. Then I checked the correction needed to hit the target under the current conditions and actual range. To check accuracy, I entered standard conditions into BulletFlight and noted the correction needed to hit the target at the EHR. At 564 yards, the deviation was .3 MOA. When I checked it at 854 yards, that spread had grown to .5 MOA. If you don’t intend to use the HD-B’s ballistic solver functions, you can always turn them off. It will still measure and display atmospheric conditions. Pressing the secondary button will display the current inclination angle, air temperature, and station pressure. You can then use them with a separate ballistic calculator. I tested these functions extensively in the first part of my review. In the end, the Geovid HD-B Edition 2200 is a solid performer across its broad range of capabilities. Its ballistic functions significantly reduce the time needed to make a shot. It’s asking a lot to expect one tool to do everything we need for long-range hunting. The HD-B comes as close to that requirement as I’ve seen. The integration of a laser rangefinder, ballistic solver, and binoculars shortens the list of gear a hunter must carry. It also adds value to performance. I think the HD-B, supplemented with a Kestrel Elite or Sportsman, would handle any long-range hunting situation. I know that’s what I’ll be packing when tags come due this fall. Sam, another great review and thanks for taking the time. There is one thing I am hoping you can confirm or clarify for me as I have been unable to confirm with any other source. Your review indicated that your binos actually did have the ability to readout a 1/10 decimal point and with the 1-1 setting, the display would display fractional MOA, Meaning in the example above your binos actually displayed a correction of 11.2 or something similar. My binos, when set to the 1-1 setting, only display whole/round numbers so no tenths are displayed. I.E. a correction of 4.5 MOA would round to 5 MOA and a correction of 11.2 MOA would round to 11 MOA. And so forth. Obviously not the level of precision I would find useful for a lot of my situations. Now, I can get the PRINTOUT from their ballistic program to readout in decimal places. But the actual binos do NOT. If this is true, and the display will read out 1/10 resolution, that is a significant upgrade from my current model HD-B Geovids since I have to keep a “click chart” taped to the side of my rifle in addition to my wind card so that I don’t have to worry about my click-math. Lol. Can you confirm that your binos do, in fact, display in decimal MOA (I.E. 17.9 or 11.4, etc) and not whole/round numbers? And if so, detail out what actual settings you used on the binos to achieve it. I’d love to try it in case I’ve been doing something wrong all this time. P.S. I will share a trick regarding the micro SD cards. Since the binos only look for the drop.hex file in the root directory. You can actually create folders on the SD card for each rifle/ballistics you want and label the folders by rifle. Then, you can keep multiple “drop.hex” files on the same card within the folders and just move them to the root directory when you want to switch. Obviously not something you can do in the field without a PC, but it does help to keep everything in one place instead of having one card per rifle (which obviously you could change in the field in that case). I actually save the “drop.hex” file in a folder with a screen shot of the inputs I used on the Leica site so I know what each file’s drop was created from. Since the file name doesn’t show any of that Hope that helps. Thanks for the tip on the hex file. Yes, the Edition 2200 will correct to one decimal point when in MOA (1-1) correction format; 10.0, 10.1, 10.2, etc. I have no experience with previous models, but your complaint was one I heard more than once. The majority of my testing of the binos was done with a custom curve for my 300WM and the correction format set at 1-1. With a little bit of truing, the HD-B’s matched AB and BulletFlight to 1000 yards. That’s terrific. The decimal addition is a significant usability upgrade even though the clicks get me to the right place even if it is a bit tedious. My experience was simialr and it took a fair bit of fiddling with the program and then taking them out in the field (aka backyard) to confirm against my known ballistic solver before I had the confidence to hunt with them. I now have complete confidence with them while in the field out to my hunting comfort zone. Thanks again and happy hunting! this is a great article as I have been pulling out my hair (of whats left..lol) trying to figure this out…no where have I found how to set this card up for a guy that wants to read in yards and dial my dope in MILs. so my question is this….do I input the ballistic data in cm..thus it all coverts to m/s, etc…then change reading of bino to EU…or can I leave everything in inches for ballistic custom data and then ready bino to US….get reading of target in yards and also get my mils needed to hit the target? The only reason you would set the HD-B to EU is to read yardage in meters and hold in centimeters. If you want to range in yards and get drop data in mrads, leave it in US mode. Go to the ABC function and select “10” if you’re working with a scope that dials in .1 mil increments. The output will read number of .1 mrad clicks when you range something. Stick a decimal point in the middle of that number for your mrad hold/dial. When I download the info to my SD card and load it in my HD-B edition 2200 I can’t see that profile or the data on my card? Where is my data? I still have 12 profiles and the off option but no card data? I’ve tried changing the name to my rifle, not changing the name and it still does not give me a card option? What am I doing wrong? Could you make a video detailing the ballistic card set up and verifying your card data in the field as you wrote about in your article. You can’t read the data on the card, nor does the profile name on the card come up in the HD-B. It only comes up as “Card” when you scroll through the ballistic curves. If something is wrong with the card, it should give you an error code in place of “Card”, but I’ve never seen that. I don’t even have a card option? That’s what makes me confused? I just got it yesterday and it’s new in the box. Even the owners manual doesn’t show card on the options? Do you have the card fully inserted in the binos? I don’t think the option will come up in the menu if it’s not loaded. Pages 46 & 47 of the owners manual. Yes, it’s inserted. Writing on the card facing up and pushed I’m until it stops. I wish I could send you pictures. I don’t think the chip reader is working. Is there a US Leica POC phone number? All I find is not U.S.? Email me so I can respond. Yes. The HD-B displays station pressure. When I trued mine to my solvers, I used the secondary button on the Leicas to get pressure, temp, and angle for inputs. The 5k Kestrel will display station pressure or barometric pressure, depending on what screen you’re in. If it’s a Sportsman or Elite, the ballistic side of the meter only displays station pressure. Sam, I went ahead and upgraded both our binos to the newer 2200 version on the strength of your review. Thanks for that, I couldn’t be happier. 1: As Sam mentioned in his review, the process for inserting and extracting the Micro-SD card is somewhat tedious and is easy to insert it to a point that you think it’s correct but it is not. You can actually insert it right next to the correct slot and think it’s inserted as well as partially insert it and think it’s correct. In either case, you will find that when you attempt to get a solution – the binos will return a ERR-1 error. That basically means you need to reinsert the card. There were times when I had to do this multiple times to get the card to read. Frustrating for sure but these are delicate and sensitive operations (also as Sam mentioned) and best done in the comfort of home in my case. 2. Ensure that you have the right zero range in the binos as well as the Leica website when you download to the card. This is a critical step that is easily forgotten. The binos MUST have the right zero range selected even if you are using the card for your ballistic solution. The binos do NOT pick up the zero range that you entered on the Leica website, you have to select the proper zero from the menu on the binos. If, let’s say, you entered a zero range of 200 yards on the website/card but your binos are set for a 100 yard zero – you will get inaccurate solutions when comparing to your solver. So if you think you have everything right and it’s still not working, double check that little piece. Hope this helps leverage Sam’s awesome write up. If you got here by simply skimming his review, I recommend you go back and slowly read it. He obviously chose his words very carefully and it made the review so much more complete than many people know. As a data point – I added 15fps of MV for both a 7RM and a 6.5/284 and the solution trued up nicely. Thanks for the great comments! You are absolutely correct on the card insertion. I never had a problem, but I was using slender needlenose pliers to remove and insert the card. I watched a promo video put out by Leica that shows a guy using his fingers. I was able to do the whole process with nothing but a coin to take off the battery plug, but I don’t recommend it (especially in the field). There is a learning curve to using any ballistic solver or platform. I would recommend having a trued ballistic solver available, then syncing the HD-B to it. I could see how frustrating the whole process with the card could be if the user didn’t have experience with trajectory confirmations, and had to travel to shoot/confirm the drops.